So it’s been a while since I last posted, and that’s because I’ve been out doing things and writing papers and finishing applications and practicing drawing and all good stuff that I just haven’t had time to write about! But now the majority of my graduate applications have been submitted (save for the architecture-specific portion of my Berkeley application), and my scholarships are almost done…so in this little breather time I have, I thought I’d update you guys on what’s going on in Paris. In other news, I paid a visit to the Musée Rodin the other weekend. Some of the roses were still in bloom, and a couple of yellow leaves were clinging to the trees in the garden; I could see why people recommend this as one of the gardens to visit in Paris. I will definitely return in spring, when all the flora is in its full glory. As for the museum itself, well, it’s a very small museum. 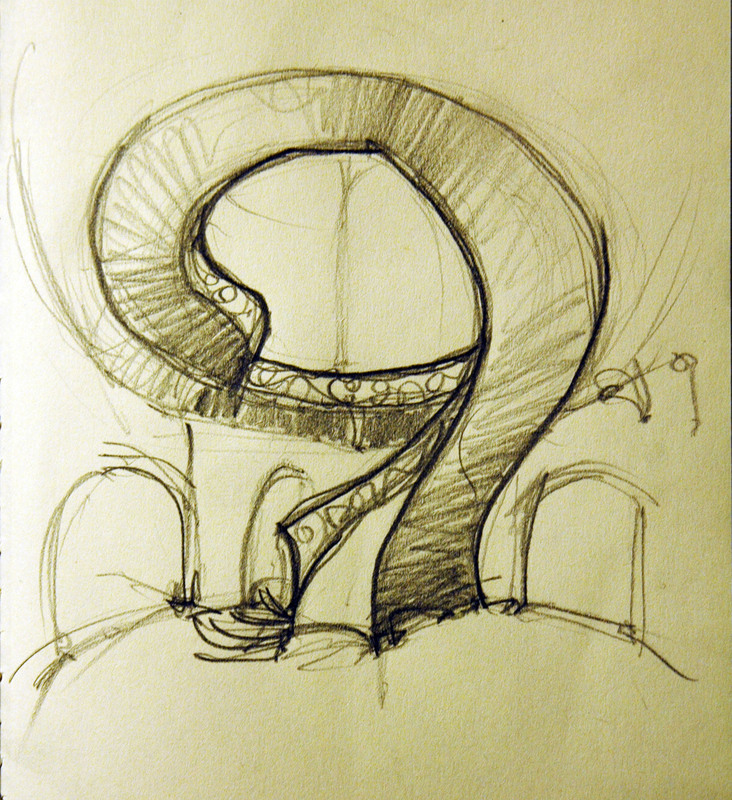 That said, I’m particularly fond of its stairs and the arch-topped colonnade in the entry area. The pieces showed Rodin’s process, both in the technical (an exhibit displayed the step-by-step making-of one of the sculptures), and creative (multiple iterations of the same theme). Seeing The Kiss in person amplifies the eroticism of its tangled limbs and contrasting curved and angular forms. Even if it is cliché, it’s one of my favorite sculptures, and I’m probably going to go back to see it again, get a few more sketches in. 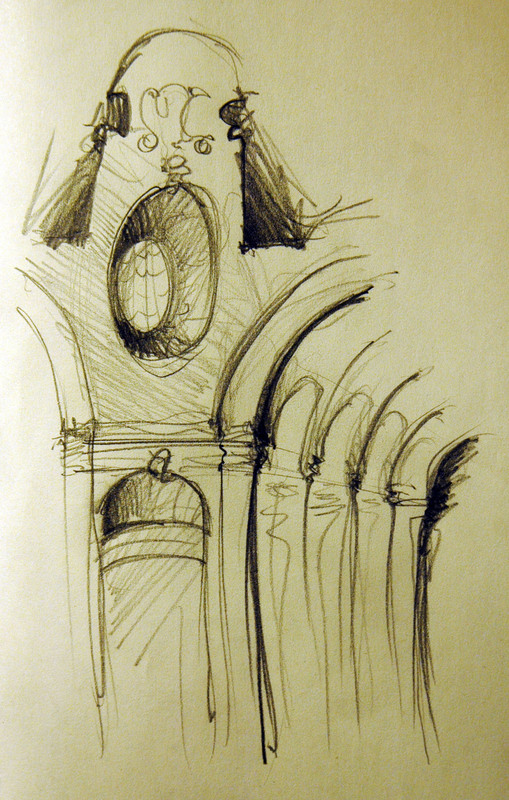 Speaking of: to prove that I have been sketching (though, to be honest, not every day as I hoped – but come January, I’ll have all the time in the world to put my pencil to paper…), as I was saying, to prove that I have been sketching, I will now show you two sketches. I did more than these two, but if I show them all now, who’ll review my sketchbooks with me when I get back? 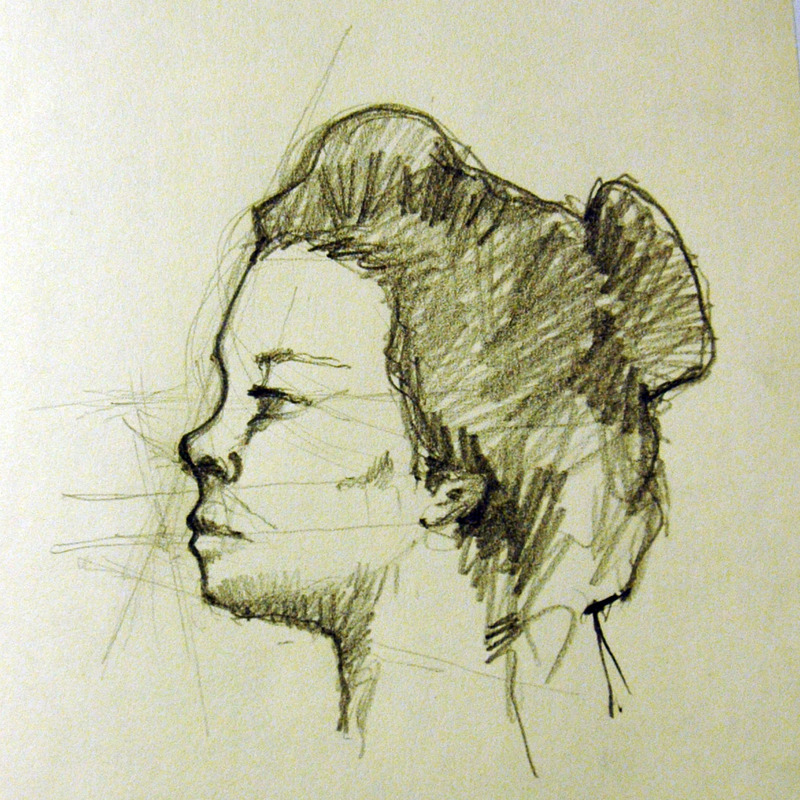 A drawing from the 'Hanako' bust at the Musee Rodin. 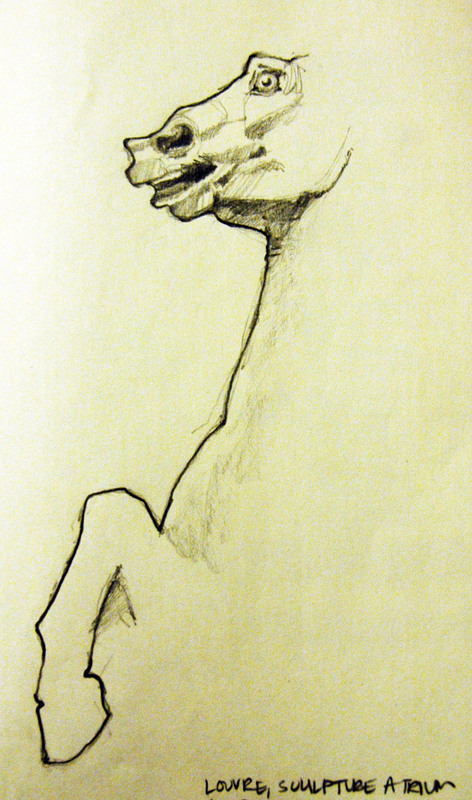 I'd just like to note that sculptures are much easier to sketch because they aren't as fidgety as humans. I’m renting from Kanye West. 1. “That’s a good lookin’ sandwich an’ all, but y’all know that Beyoncé’s sandwich skills is better.” This one takes place barely a week into my French experience. I had been running errands all day and got home, starving. So I pulled out my demi baguette and proceeded to make myself a delicious foot-long cucumber and brie sandwich. Which, apparently, included far too many carbs. I was instructed to remove all the sandwich filling ingredients, place them in a bowl, return one half of my baguette to the fridge and eat the bread and salad separately. She stayed to watch me do it. 3. “Is 50 degrees ou’side: Beyoncé would wear a sweater.” Little did I know that moving to France meant losing the ability to dress myself. Not only was I treated to a lecture on it “no longer being summer” and that if I continued to dress so skimpily (skimpily, as in leggings, jeans, shirt, scarf and jacket) I would catch a cold, but when I returned from my room (after putting on a sweater), she checked to make sure I really had put one on. I felt like I was three again. But Mommy, I really did brush my teeth! I’ve been a bit disappointed in myself lately. 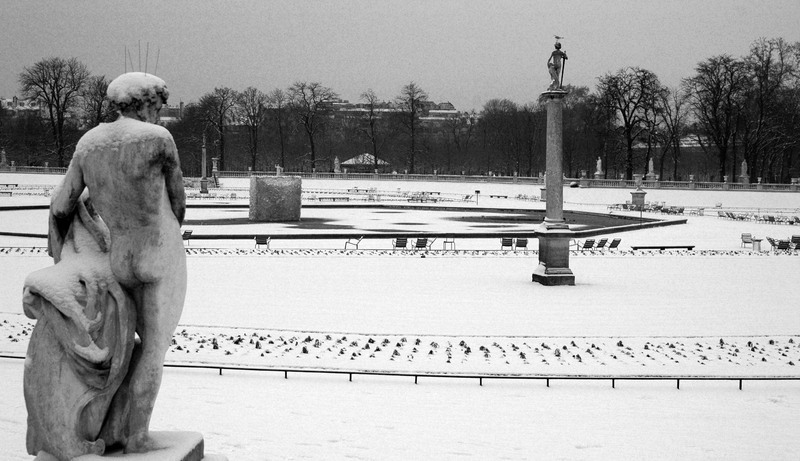 I haven’t had a chance to really get out and be in Paris as much as I would have liked. And I’m blaming that on the 2 scholarship applications and 5 graduate applications I’ve been working on since I arrived in this beautiful city. But at last, the end is in sight. A bit of background: I went into my undergraduate degree knowing I’d want to do a Masters in Architecture. I was one of those annoying kids that knew exactly what she wanted to be when she grew up, and then stuck it out. And I don’t regret it, not one bit. Architecture has never been “work” for me, just a constant source of discovery and pleasure, ok, mixed in with some pain (for example, the frustration when those damn riser heights won’t add up to the FFL). It’s almost hedonistic, the joy I derive from basking in Foster’s atrium, or reaching out to touch the zenith-esque corners of Pei’s National Gallery addition. There is, of course, the fun in solving a design problem and the associated satisfaction of having all the puzzle pieces fit. But, to be honest, what keeps me coming back for more is that I am never not dazzled, impressed, intrigued, disgusted – I am never without a reaction, soit positive soit negative, to architecture. Sometimes I have to take a step back, get a breather from the chaos that seems to be inseparable from the designer’s life (thus this stay in Paris), but that break always has me coming back for more. And here we are. For the last few months, I have been pulling together applications for graduate programs in architecture. This involved recreating a portfolio, since I had to include my thesis project and since each school had its own specifications, writing thousands of rough drafts for essay upon essay, and pestering faculty for letters of reference. The first two are are pretty much out of the way. The last one, well my deadline is in a few weeks and I have a feeling I’m going to be the one filling their inboxes pretty soon. One thing I didn’t realize when setting out on this venture is the cost of applying to all these places and scholarships. Around $30 to print each portfolio, $5 to mail them, $7 for each transcript, $150 for the GRE, $80 for each application…it starts stacking up. I’d estimate that by the time March comes around, I’ll already have spent more than $700 – and that’s all before knowing which school has accepted me into their program. Once I am accepted, there’s the first deposit, and paying to take summer courses if I haven’t been able to take care of the prerequisites. Then, of course, there’s the cost of graduate school itself, about $50,000 per year. So, dear Reader, this post is to inform you that I’ve started a scholarship fund, for myself. If you’d like to contribute, please send your cheque to…just kidding. Though that is quite tempting. So here’s to grabbing the pencil, and jumping over the lazy dog that was my dormant art career. P.S. That means you’ll be seeing sketches in addition to these awesome photos I’ve been posting. Aren’t you excited?